There are four Ripples restaurants all of which offer exquisite views and a pleasant dining experience. For Dane’s Birthday we wanted to review a café that had a lot of options on the menu and a reputation for good food. Unfortunately bookings are only available for dinner and lunch and when we inquired earlier in the week we were told that we would just have to arrive early (half an hour was the recommendation). We were also told on the phone and in person that arriving early and putting our names down would not be a problem. This Sunday morning was obviously not as busy as we or the staff had thought as there was still plenty of space available. The floor manager seemed hesitant at first to take our details and hold a table for us at 10 o’clock but we finally convinced him to consider our request. We were seated at 10 as promised and water was brought to our table on request. 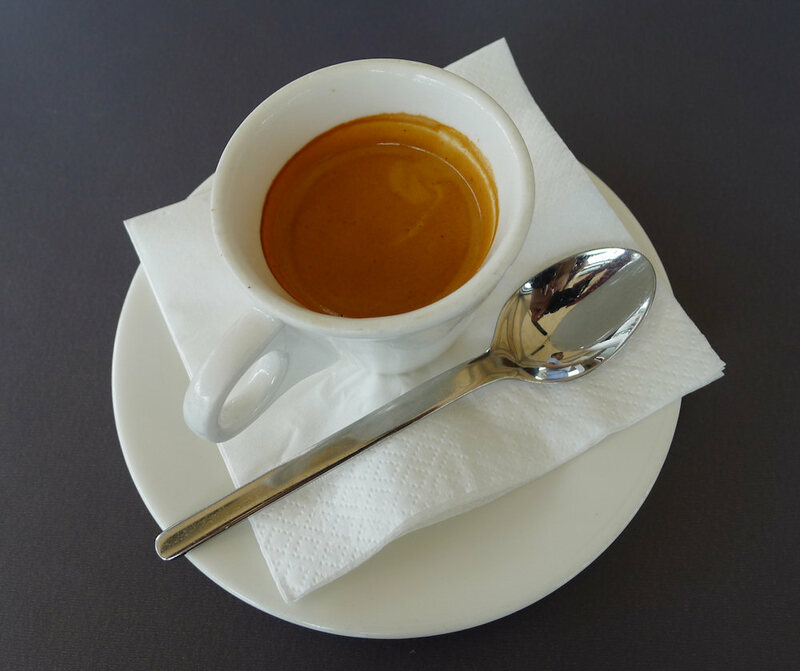 The short black ($3.30) was as you would expect – flavoursome & hot and was served quickly. It was a good looking coffee. 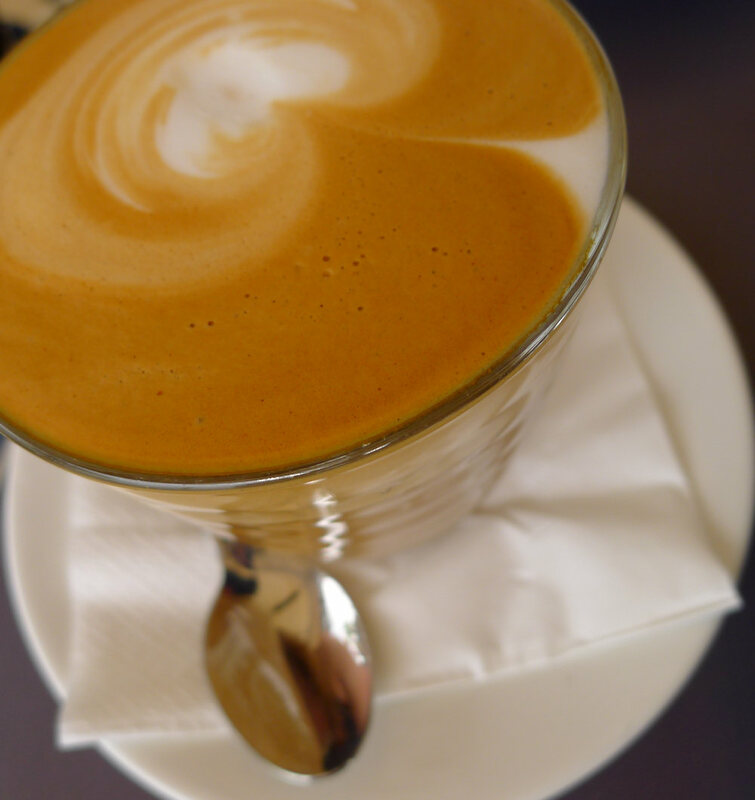 Our coffee-inclined guests ordered flat white ($3.80) which they enjoyed and even considered having a second round! 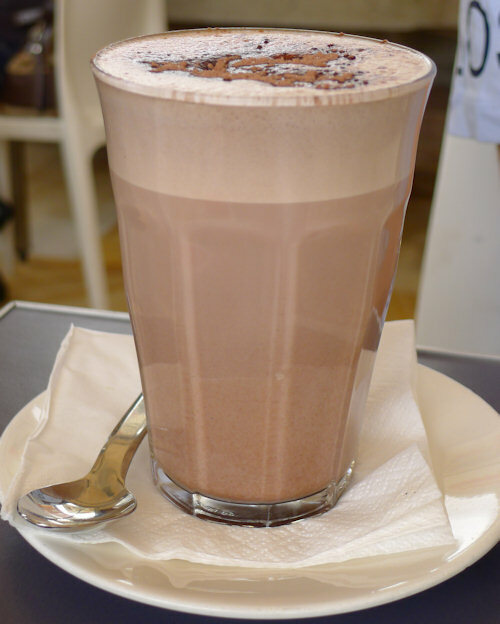 The hot chocolate ($3.80) was rich and sweet but not served hot enough. On a cool and rainy morning we would have liked this drink especially to be more warming. 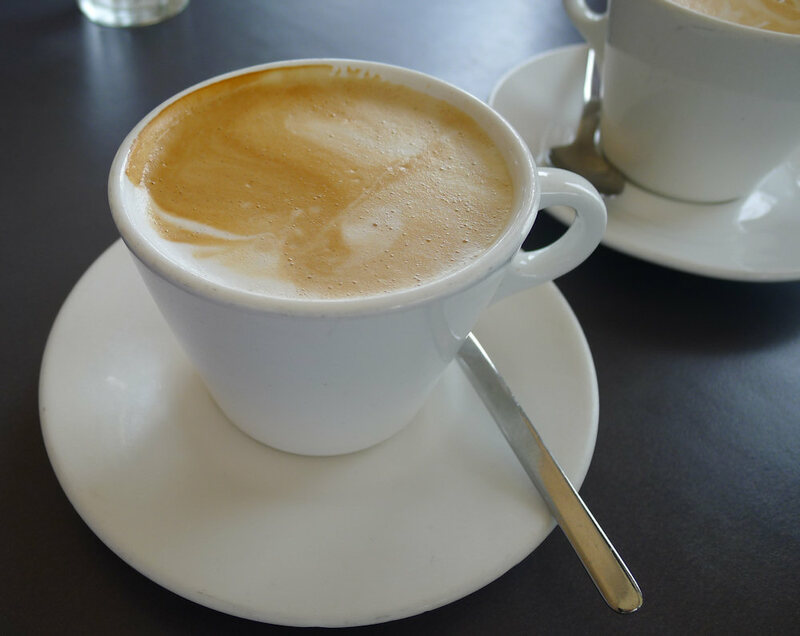 More rave coffee reviews came from the direction of the skim latte ($3.80) drinker as well. With juices such as guava, cranberry and grapefruit our guess is that Ripples don’t squeeze their own juice. 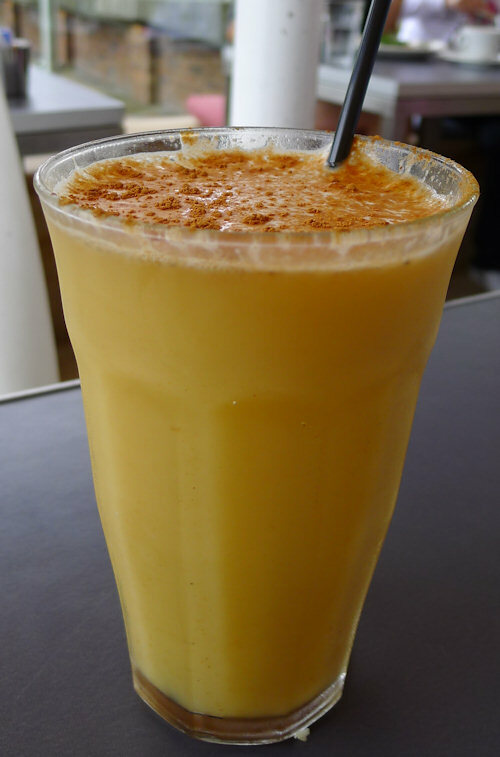 With this in mind we decided to try a drink that is in the food section of the breakfast menu – the Ripples morning wake up juice (small $4.50, large $6). We managed to pick some but not all of the ingredients which are: orange, pineapple, egg, nutmeg, honey and cinnamon. The overriding flavours were orange and cinnamon and we don’t think would be to everyone’s taste. It definitely is a wake up juice though and if you want to try something new, this is the drink! 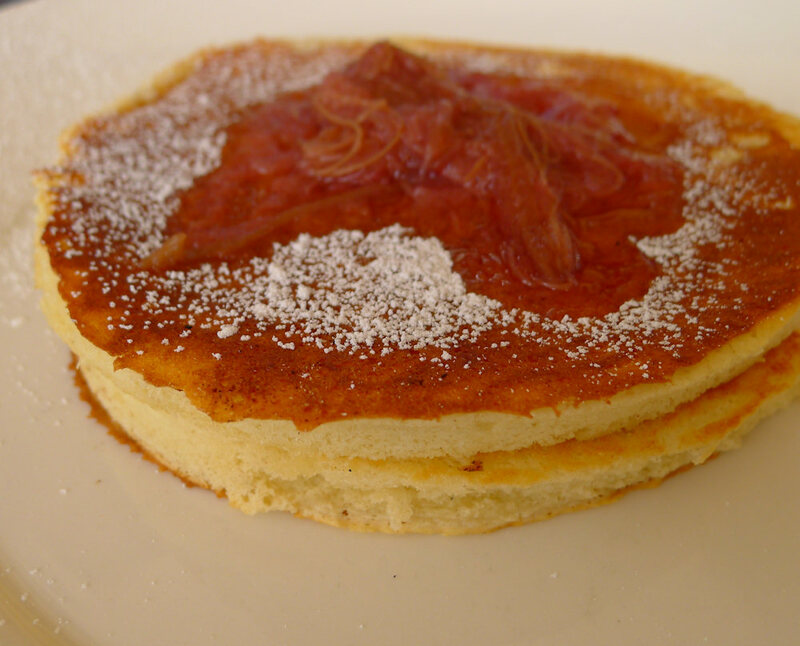 The apple hot cakes ($14) are served with a rhubarb compote and cinnamon crème fraiche. We asked the chef to hold the crème fraiche and were delighted to see served maple syrup on the side. The hot cakes had slivers of green apple in the mixture and rhubarb was a nice change from the standard berries or banana. April enjoyed it so much she forgot to offer taste tests to the party. A sign of a truly enjoyable dish. The omelette with pino’s ham, smoked mozzarella and roast tomato ($15) was filling and contained plenty of the promised ingredients. The tomato helped to add some moisture as well as the omelette itself was slightly dry. The sauté of field mushrooms on pumpkin & fetta sourdough ($14) was thoroughly enjoyed. 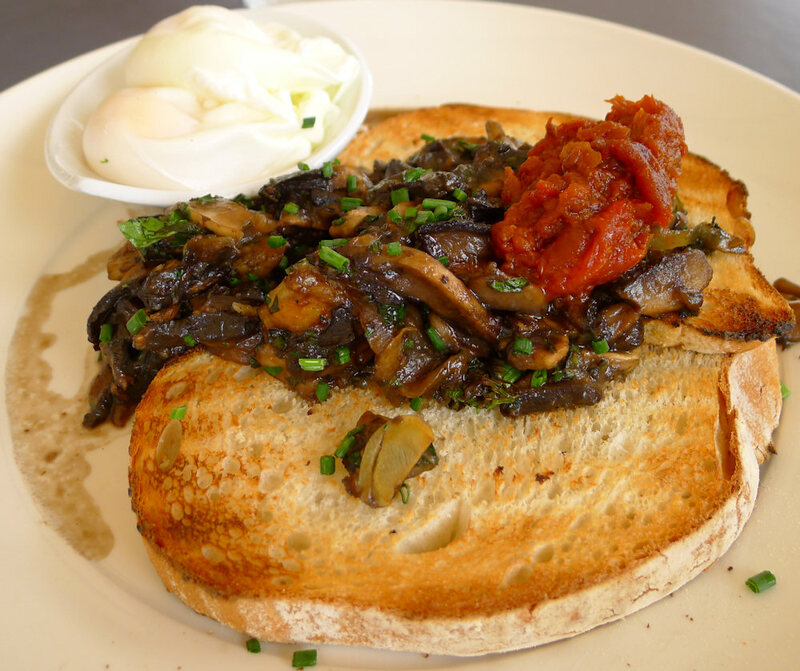 The mushrooms tasted fantastic and the poached egg had been cooked perfectly. We can highly recommend this dish. As usual, Dane wanted to try something unusual. To be honest we’re not sure why the Peking duck fritters ($14) are on the breakfast menu as having sampled them we would think they should rather be on a lunch menu. The duck itself was plentiful although we were expecting more of a flavour explosion from it. Rather than being Peking duck, it simply tasted like duck and did not add much to the fritters which themselves were nothing extraordinary. 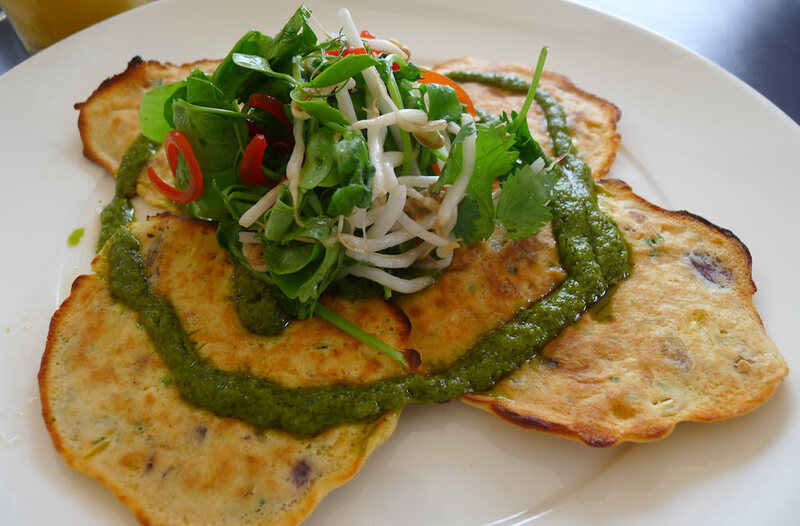 They had a good texture though; were quite dense with lots of corn throughout and were saved by the coriander pesto. The Thai theme continued with the salad on top and made the dish slightly lighter. Why such a low score compared to recent reviews? We found nothing special or unique about breakfast at Ripples. Our visit was pleasant but could not find a dish, drink or aspect of service that really stood out. The prices were actually reasonable considering the restaurant’s high status and position though. 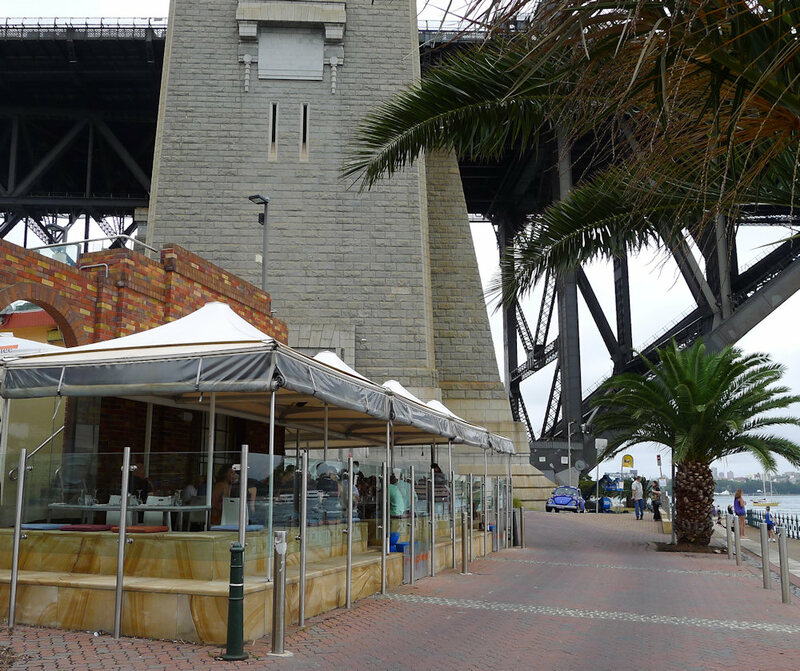 Milsons Point is a great place to take tourists for a scenic Sydney brunch. If you live in the city or on the west side of the bridge we recommend catching a ferry there as it’s a delightful experience. Luna Park is also close by but you might want to let your breakfast digest before going on any of the rides. If you’d prefer a more relaxing weekend, sample the wares on display at Kirribilli markets. The general markets are held on the fourth Saturday of the month from January to November, and on the first and third Saturdays of December. The fashion markets have also become popular and are held on the second Sunday of every month. This entry was posted in Sydney - North Shore and tagged Outdoor seating, Parking close by, Water views. Bookmark the permalink. food here relatively inexpensive. the menu initially looks quite interesting but the execution leaves a fair bit to be desired. Yeah we’ve heard some great things about Ripples, Chowder Bay. It’s on oir extensive list to visit!